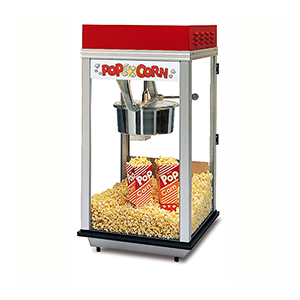 This 20" x 20" cabinet features a red powder coated dome, satin anodized and welded cabinet and, the famous Whiz Bang kettle. Plugs in anywhere! The famous Whiz Bang kettle combines with a best-selling red-hot look to make it a great addition to concessions and more!